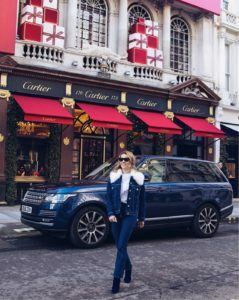 Cinderella had her mice and Fairy Godmother to help her make her dreams come true, I had the Landrover Range Rover Supercharged V6 to help me navigate cross-London for holiday preparations, avoiding any Christmas nightmares. 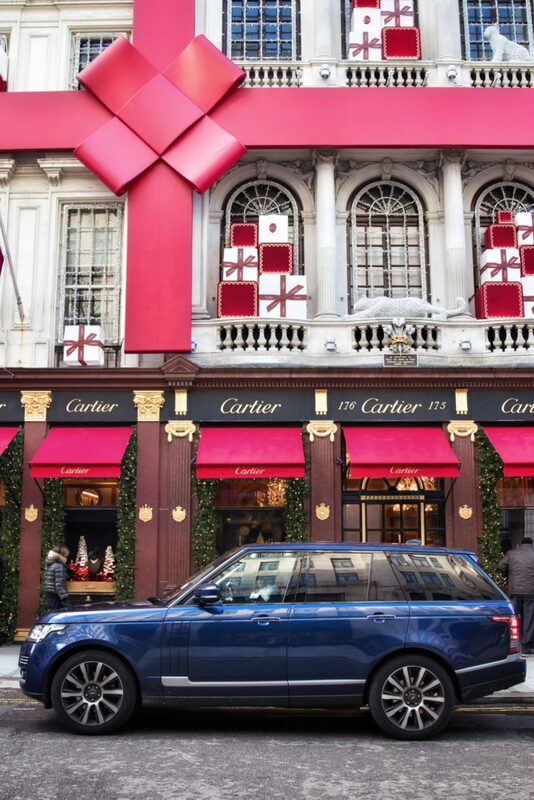 I found my own meaning of ‘Santa’s Little Helpers’ within all the magical features in this ultimate dream vehicle. Darting from one side of town to the other, during London’s busiest time, I was able to manoeuvre confidently and smoothly using 360 visuals on my touchscreen all filmed by 4 hidden cameras around the car. And, when I needed to tuck into a tight parking spot (not often easy to do in any car on some of the most narrow Mayfair streets) I activated Park Control Sensors, yet another 360 feature to let the car do all the hard work for me, guiding me easily into a tight squeeze. With so much on my mind preparing to head to Montreal, Chicago and Aspen to visit both mine and Gregor’s families, its easy to get distracted even for the most focused drivers. I found the Traffic Sign Recognition and Intelligent Speed Limiter features of the Supercharged V6 mind blowing and helpful, automatically alerting me to Stop signs when necessary and actually slowing down the vehicle at times when I was crossing the limit. With a dizzy brain and aching body from running around all day, on the ride home I can lean back into the plush winged headrest of this dynamic new Range Rover Supercharged V6 and settle into the most comfortable ride home. Even while stuck in the worst traffic jam, I can smile as, I flip on the shoulder massage feature, turn up the Mariah while through the Panoramic Glass Roof I can see the twinkling glow of all the Christmas lights beautifully decorating the city. Instead of milk and cookies hopefully there is a glass of wine waiting for me when I get home.